In today’s smartphone era, we spend a lot of our time modifying home screen, icons, saving favorites, loading games, music, videos, photos and memories in the tiny device called a smartphone. While you carry today’s most admired gadget with you, there is always a need to take its backup. Never miss your important files, favorite collection, and contacts. 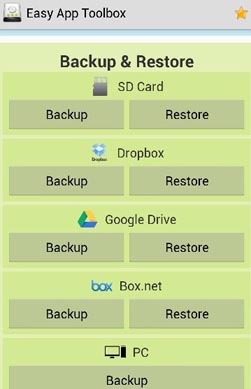 Below are the best running Backup Apps available for Android device in the market. For Android users, Google automatically backs up a portion of smartphone's data to user’s online accounts. Go to Settings > Backup & Reset and select ‘Backup My Data’ and ‘Automatic Restore’. At the first time it will take some time but later on, it will be faster. Below apps come under manual backup methods which are user-friendly and comes with promising features. Lookout is a nice app for all your data safety. Most importantly with regular backups, you can schedule automatic backups in this app. This will always ensure you do not miss any files. With a Lookout premium app, you can also backup your photos, call history etc. Lookout works faster and it is easy for navigation. 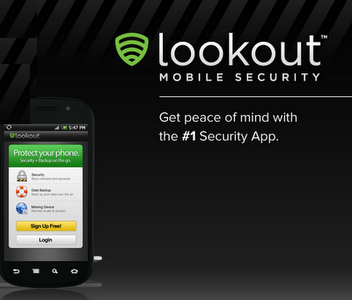 Lookout also works as best Antivirus support. This app is appreciated by many online reviewers and used by millions. Titanium is used worldwide for its cool features and quick operation. No Ads, Fast App listing, Backup External app data, Restores the Market links, Move app to SD cards, Quick reboot, Excellent app filtering, remove orphan app data easily, Zero-click background batch backup data, Interactive batch restore, Batch action widgets. Multiple backups possible with history length selection, Encryption of backups, Multiuser support, unlimited backups schedule, Synchronize to online, Retrieve broken market links, App freezer support, Convert user apps to system apps and vice versa; restore available from ADB, ClockworkMod, TeamWin Recovery, Support Gingerbread's faster WAL DB format. Its latest version is again updated with new features such as Specific power condition suit for scheduled backups, Support for Android 4.3, Data exclusion for Media Storage, Fixed issue with XML call log restore, Fixed android 1.5 support, Updated translations. Buy Factor: Backup almost everything on Device - Truly complete solution. Limitations: Slightly difficult interface to understand. 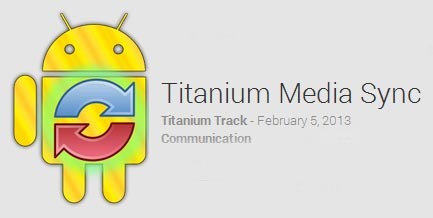 It is upgraded version of its previous version "Titanium Backup" which needed Rooted Android device. Titanium Media Sync is a great option when you need to backup whole folders with other data. If you use better internet connection, Titanium Media Sync is great for huge data backups. Best option if you don't want to go for Android Root. However backing up a device with rooted is simple and preferred nowadays. See How to easily root your Android Phone. A Nandroid backup simply clones your device data including ROM. But it is not preferred as system crash may happen and you will have to flash your phone again. My Backup Pro (Google Play: $5) provides additional support with sign up and PIN number with again regular password. RerWare also gives additional 250MB or 1GB storage at yearly 10$ and 20$ respectively. Putting the device on automatic weekly backup will ensure you never miss any file by mistake. My Backup pro is hassle free complete backup app. An easy app helps in backing up your device to SD card first, you can copy files from your SD card to PC. Important to note that Carbon does not necessarily need an internet connection. So it’s very easy to backup your device at anytime and anywhere. It works on both rooted and non rooted devices. Carbon Backup also comes in a premium version which features No ads, Automatic Backup schedules, Cloud Backup and restore, Dropbox, Google Drive and Box save. It also supports Android to Android App sync. G cloud gives backup support for contacts, messages, applications and other files and can be saved on a computer. The user needs to make an account for G Cloud Backup and give 1GB space. Provides simple and scheduled backup for your Android device. All files are saved to SD card or you can let them go on Gmail account. It has an easy interface and easy to operate. Certainly a great alternative for Titanium and Carbon backup apps. Easy App Toolbox provides similar features at no cost with ease of operation. 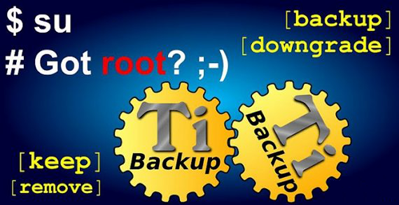 As it does not require root, it is quite easy for every user. The app is created by Goddchen, a xda-developer who created Nandroid Browser. Its works well with online storage accounts but you can even save data on PC.